I'm a bit hit and miss about Robbie Williams. He can't sing live at all yet he can get the crowd going. I either really like his stuff or I really don't. This one is pretty okay. 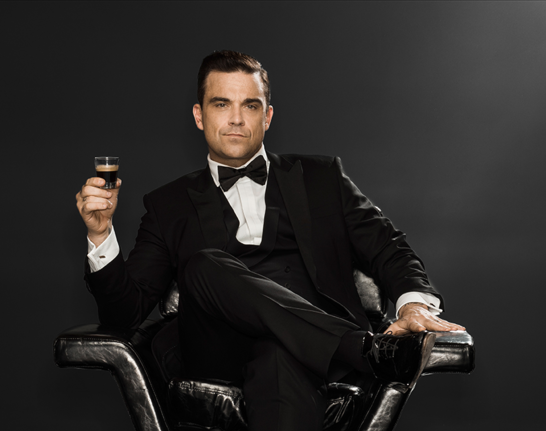 I think of Robbie Williams the same way that I think of Marmite, I would like to like it but I can't. Don't laugh, but when he's all dressed up, Tuxedo Bow Tie etc, I think he'd make a good James Bond ! @nicko wrote: Don't laugh, but when he's all dressed up, Tuxedo Bow Tie etc, I think he'd make a good James Bond ! I'm not laughing nicko ... I totally agree with you! Have always thought that myself. My Names Bond, James Bond, And doesn't he look it !